The problem with Free Agency and Player Trading in the AFL isn’t the concept itself. The notion of players ‘playing for the jumper’ and retiring at the same club they started at is a romantic one, but one which was always going to largely end eventually following the introduction of the national competition and draft, along with the massive jump in money in the game thanks to the lucrative TV rights. It’s taken away some of footy’s tribalism for the players, but try telling an 18 year old who is drafted to a club thousands of miles from his home that he will never be allowed to return in his professional career unless he’s either a) not good enough for his club to want to keep him or b) good enough to bring in a huge return in a trade, only to be seen as a pariah by his former club. Likewise players who long for team success, or want to play for certain coaches, or for clubs they grew up idolizing, or even heaven forbid to earn more money in their chosen profession. Free Agency has in turn (in theory at least) encouraged more player trading, particularly as clubs know that if they don’t trade a player who requests to move on they will eventually lose them via Free Agency anyway. So as much as Free Agency is distasteful to many fans and has removed much of the perceived player loyalty towards clubs, increased ability for players to move was both inevitable and unfortunately necessary. No, the problem isn’t with the concept itself, the problem is that in implementing the concept the AFL got themselves half pregnant. Yes they’ve instilled a form of Free Agency, but they also provided a ‘kicker’ in the form of compensation for the club that a Free Agent chooses to leave. Whilst the notion of compensation no doubt appealed in theory to clubs and a League that were wary of a sort of Free Agency mass exodus, in practice it has horribly compromised the integrity of the process and continues to undermine it seemingly more with each passing offseason. Perhaps the most graphic example of that compromised integrity has just played out with former Melbourne and now Hawthorn defender James Frawley. 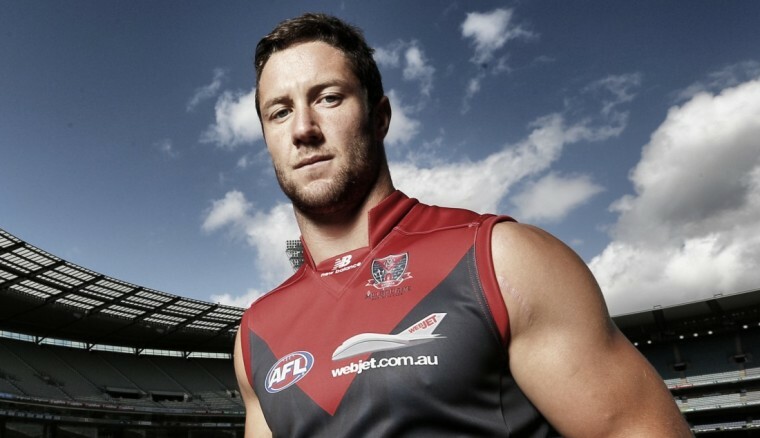 Frawley’s been a good solid player for most of his career with the Demons, his career year in 2010 culminating in All-Australian selection and runner-up in the club’s Best & Fairest. Since that breakout season however Frawley has been on a steady decline through a combination of injury and form issues. In the 4 years since 2010 he’s finished 3rd, 9th, 7th, and 8th in the ‘Bluey Trusscott’ on what can only be described as some awful Melbourne teams – not exactly platinum form there. There were several occasions this season where his mind seemed far from the job, and it had surely become clear to everyone involved that a new environment was the way to go for the nephew of former St Kilda legend Danny. Fortunately for Frawley there is currently a dearth of strong ready made key defenders in the league and particularly among several premiership contenders, meaning there would be plenty of interest in his services. So as he approached Free Agency this year the Demons, knowing that they’d be rewarded handsomely for his departure, must have been privately praying he’d leave. As the season finished it was clear that would be the case, and equally clear the Dee’s were happy to not have to pay the rather hefty wage demands of a player who wanted to be elsewhere at a time when they are once again rebuilding a failing playing list. So that was that, Free Agency doing its job in allowing a player who has given many years of service to a club to move on and a club far from contending for anything significant the opportunity to better use the money it would have had to spend on him. Oh, and the Demons received the #3 pick in the upcoming National Draft in compensation for his departure. Wait, what? That’s right, for essentially being bad enough over a sustained period to have one of their core players choose to go elsewhere the Demons were rewarded with the 3rd most valuable free commodity of the offseason, while every other team in the competition was punished by having all of their draft picks move down a spot, allowing them access to theoretically a slightly worse player at every pick. The method used to calculate such a reward is a well guarded secret (thus never having any actual scrutiny and allowing for some ‘flexibility’ in how it is applied), but it involves the value and length of the contract offered to the Free Agent and his age. So because key backs are perhaps the most highly sought after commodity in the league right now to most of the contending teams, Melbourne receive the number 3 draft pick in return for a player who was barely getting a game in the second worst side in the competition this season and who chose to leave a club seemingly with their blessing. Nick Dal Santo had his St Kilda contract voided to become a Roo via FA. If that wasn’t the most ridiculous example of Free Agent compensation unfairly influencing the draft then perhaps it was Nick Dal Santo, who had his standing contract voided last year by St Kilda in order to make him a Free Agent in a move it is suggested Essendon have been advised by another club to look to replicate this season with Patrick Ryder. The decision by St Kilda to make Dal Santo a Free Agent meant that his club of choice North Melbourne wouldn’t have to give up anything via trade to acquire him as the Saints would be rewarded by way of compensation from the AFL with pick 25 in the 2013 Draft; meanwhile a sweetener trade was done sending little used North Melbourne defender Luke Delaney to the Saints in exchange for a draft pick the Kangas neither wanted nor used. So the Roos and Saints were able to exploit the system to essentially trade Dal Santo with house money and a player North didn’t want. How cosy. Or perhaps it was St Kilda again, who essentially pushed Brendan Goddard out the door the season before to begin their rebuilding process rather than pay the well earned wages of one of the then premier mid/backs in the game. Their reward for stonewalling Goddard’s contract negotiations, offering him a deal they knew he wouldn’t take and then choosing not to match Essendon’s reasonable contract offer to the Restricted Free Agent was pick 13 in the 2012 Draft. You can’t make this stuff up. Adding to this convoluted mess are the archaic rules still governing trades in the league as if Free Agency had never been introduced at all. Bizarrely players still have to approve their trade destination before any trade can take place, and if off contract can simply threaten to walk out on their club and into the Preseason Draft with a hefty price tag on their heads, meaning that only their club of choice will likely take them and the club they are departing will receive nothing in return. Awarding the player final say on any trade in practice allows players to choose the club they want to play for and only accept any trade to that club, meaning that the club of choice has all the power in any trade negotiations that take place, while the club the player is leaving is forced to deal with a gun to their head – “take this bad deal or get nothing”. It has led to the utterly ridiculous situation where young players who have given little service to their club get to dictate when and where they want to be traded, virtually always leaving their club with less than adequate compensation – and older players who aren’t Free Agent’s holding their clubs to ransom. It has also given rise to enormous power for Player Managers, with many players who don’t really want to leave their current clubs or who want their current clubs to be well compensated for their loss when negotiations begin eventually (and often bitterly) walking out for more money elsewhere while their former club gets minimal compensation and for their efforts are seemingly referred to daily in the media saturation as being ‘difficult to deal with’ or ‘unreasonable’. Paddy Ryder’s current situation is a prime example of this – when he left Essendon it was reported he assured them that he had no intention of invoking the possible ‘get out’ clause of his contract and that he insisted that Essendon be fairly compensated for his loss – however after choosing Port Adelaide they (understandably given they have all the power in the negotiation) are offering Essendon well under Ryder’s market value in return and suggesting he’ll invoke the very ‘get out’ clause he said he wouldn’t if the Bombers don’t take the deal. Even Ryder’s manager Paul Connors said on radio last week that Port’s offer of (then) pick 16 wasn’t fair compensation for the Bombers, yet it will likely be the same Connors who instructs Ryder to try to leave Essendon for nothing next week if they don’t accept that very deal. So really in the AFL we now have two sets of Free Agency, the actual version which is a mess : and the even messier version of it. It’s not the Player Managers’ fault either. Player Managers don’t work for free, they are in the game to make money just like everyone else who goes to work. The more money their players make (and the longer the terms), the more money they make, and given they have such negotiating power in any trade scenario it’s hardly surprising that many of them are gently (or not so gently) encouraging players who may not really want to go anywhere to leave their clubs. No, the blatant inequality served up constantly in Free Agency and the Trade Period is squarely the AFL’s fault. It’s a result of their addiction to controlling every outcome, to shepherding every possible situation to their own preconceived desires, to imposing their will on the natural course of things. That thirst for control has never been more evident than in the past few seasons, their handling of the Melbourne tanking investigation, the Adelaide Tippett affair, the Essendon Saga, allowances for New South Wales and Queensland teams above all others and the gross inequality of the fixture are all examples of a body that seems to consider itself overlord of a controlled society with contrived results much more than simply governing body of Australia’s game. Consider this. Melbourne – the basket case of the league for the past 5 years or so – receives pick #3 in the current draft as compensation for a struggling Frawley, while Hawthorn – powerhouse of the competition for that same period – receives pick 19 in compensation last year for arguably the most damaging player in the game and clearly the game’s best forward in Lance Franklin. That’s not an error, that’s exactly how Free Agency Compensation is designed; to be unfair in order to give the league a contrived outcome. Melbourne also received the ridiculously generous compensation of pick 23 last season for Colin Sylvia who barely played a game for Fremantle this season, a pick the Dee’s used to acquire Bernie Vince from Adelaide who went on to finish 3rd in their best and fairest this season. Fair to say those from Demonland won’t be looking to eradicate Free Agency Compensation any time soon, meanwhile Essendon are fighting to get a late first round pick for Ryder and Collingwood are trying to get something added to pick 4 for premier midfielder Dayne Beams – both significantly more valuable players than Frawley. Buddy in Sydney a win-win, but leave out the compo. Franklin leaving Hawthorn by the way is the poster example of Free Agency working to perfection – other than the completely unnecessary compensation. Franklin had given fantastic service to the Hawks but wanted to go to another city for personal reasons and was able to negotiate a strong contract for himself to do so. Tick. His move made the team he went to better, but also allowed young Hawk forward Jack Gunston to step up in his absence while giving Hawthorn the salary cap space to bring in Frawley at a position of need in the following Free Agency period. Tick. The Hawks reward in letting him go (by choosing not to match the offer from Sydney and keeping Franklin, something they were within their rights to do) was financial flexibility for use in areas of need and opportunity for young players. That they received a draft pick in compensation at all is ridiculous, but not nearly as absurd as that received by Melbourne for Frawley. One senses that with public and media pressure Free Agency Compo’s days are numbered, but much damage has already been done that can never be undone. Clubs that the AFL wanted to give a free kick have had them (some many times over), while others have lost out badly. Removing the compensation is only part of what needs to be done however, the ability for players to OK their trade destination MUST be removed at the same time if there is to be any sort of equality in the offseason dealings. Free Agents choosing their destination is one thing, but young out of contract players or experienced non Free Agents dictating to their clubs that they trade them to X “or else” must be stopped, and must be stopped immediately. Removing the ability of players to dictate their destination in a trade would also largely eradicate the ugly but sadly increasingly prevalent practice of opposition clubs contacting contracted players to convince them to break those contracts and force a trade to them for more lucrative pastures. Whatever Free Agency and player movement is meant to be about, everyone can agree it’s not that. These kind of provisions in Free Agency and Trading would be laughed at by the major sports in America and their fans, the same sports the AFL used as guides in setting up their Free Agency in the first place. If we’re going to have Free Agency, let’s at least do it properly. It’s time for the AFL to grow up. I’ve never been a fan of players nominating their destination club when they don’t qualify as a Free Agent. But It seems to be the culture of the AFL commission to ignore or deny any faults, inadequacies or inequalities in any system they introduce or oversee. The tanking saga’s for instance, AD said it wasn’t his fault if teams didn’t play to their capabilities, but he/they installed and oversaw a system that handsomely rewarded losing more than winning, and the worse you were, over a sustained period of time. the more reward you received. Everyone (except for a few notable deniers) knew it was happening, but to his “dying/departing” breath he didn’t take responsibility. I can see the logic of the compensation to the club losing the FA, the commission figured players would always move upwards and the lower clubs would always be the ones to suffer. But pick 3 for Frawley is a joke, his loss won’t effect them anywhere enough to justify that compensation. And I don’t know that the NBA is a fair comparison to the AFL, an NBA team can turn its fortunes around with a quality FA signing such is the size of their playing lists. But having said that, the Swans became a powerhouse by careful trading and recruiting rather than going after a marquee player (2013 & 2014 being the exceptions with no premierships interestingly). Perhaps the AFL need a separate salary cap or a number limit for Free Agents at a club, I think the NBA has that doesn’t it? That might restrict some clubs ability to savage the lower clubs. TCS – agree its a very good article although I don’t completely agree with your criticism of clubs receiving draft compensation for clubs leaving. Clubs invest a lot in developing players and trying to build a strong list,, so it would seem to me grossly unfair if they received nothing in return – particularly when a player leaves a club at the peak of his powers. The Frawley/Buddy examples do illustrate the inequity of the compensation system but I am not sure how you make it much fairer. Both players were deemed to be worthy of a 1st round pick and it was the respective positions on the ladder of the Demons/Hawks that saw one (for an average player) end up with pick 3 & the other (for a superstar) pick 19. I think you could argue that Frawley was borderline 1st round worthy – but one senses the AFL erred on the side of over-valuing Frawley to give the Demons a bit of a hand. However the Demons are a great example that getting lots of high draft picks isn’t a certain path to success – the draft can still be a bit hit and miss – so there is no guarantee that the new players you bring in will ever be as good as the players you lose through free agency. My biggest concern with free agency is the stronger clubs continually “pinching” the best and most experienced players from the weaker clubs. 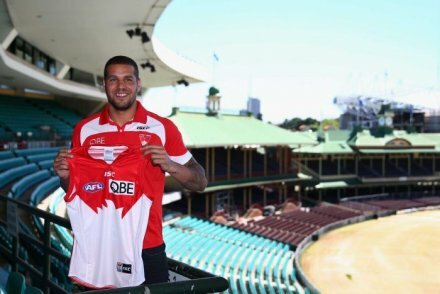 In the last three seasons we have seen the two current powerhouses of the competition being the biggest beneficiaries of free agency – the Hawks snared Lake (Norm Smith medalist in 2012) and Frawley from two of the weaker clubs and the Swans got Buddy – albeit he moved from one powerhouse to another. It is understandable that some players – especially older players – would like to improve their chance of premiership success by moving to a stronger club. But there are already signs that what we are heading towards is a system (not too unlike the pre-draft area) where the top clubs stay at the top by continually poaching quality players from the weaker clubs and the weaker clubs remain in a perpetual state of rebuilding. A journo somewhere suggested that the top 4 clubs each year should be barred from accessing free agents the following year and that may be one way to make it a bit more equitable. I think our view was pretty clear Mikey so I probably don’t need to go too far into your response other than to say that all views are welcomed and encouraged as always. Interesting to note that by far the best functioning FA system imo currently in big pro sports is the NBA, where the most valuable player in the world just changed teams as a Free Agent without any compensation going to the team he left, and the world didn’t collapse. Quite the opposite in fact. Also interesting to note that he went from a big market highly successful team – Miami – to a small market struggling team – Cleveland – in the state he was born for the team he grew up supporting. The AFL needs to get its thumb out of this pie, by meddling all they are doing is compromising the integrity of the process that will sort itself out without them. But in its purest form FA does serve a useful purpose in allowing players to move clubs whether that be to return home, more money more opportunities or a greater chance of flag success. However the system needs to be fair for both the player and the clubs and it seems to me that with the current system the strong clubs have a huge advantage over the weaker clubs in their ability to attract players to their club. If you don’t have a compensation system in place – and some restrictions placed on the strongest clubs – I really can’t see how the weaker clubs will ever improve. The reason a draft system was introduced was to try and make the competition more equitable for all clubs and it seems to me that the current FA system is seriously undermining that. How does this work? Does that mean that pre-season players, unlike normal draftees, are able to be put on whatever kind of contract & $$$? If so, why are the rules different? Yep, players who choose not to sign a contract with their club who aren’t FA’s can nominate their contract terms before entering the preseason draft – thus scaring off any clubs who don’t want to have to pay a big contract to an unhappy player. Pretty sure Kurt Tippett was the last one to do it, got to the Swans despite them only having from memory about pick 11 in that preseason draft. Great article. Once again the CS cuts to the chase. No AFL narrative in sight. So refreshing. Keep up the great work.